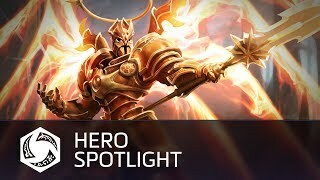 1/2/2019: Leader of the Angiris Council and Aspect of Valor, Imperius has valiantly led the armies of the High Heavens to innumerous victories over the demons of the Burning Hells. 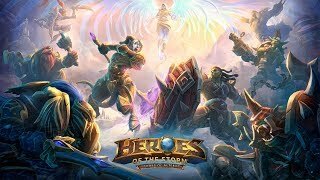 12/3/2018: Toy-themed skins, mounts, portraits, and sprays are headed to the Nexus. 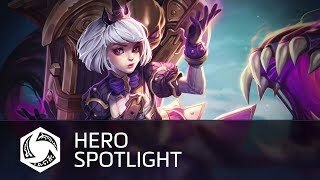 11/2/2018: Rejecting the dark power her father had begun to consort with, Orphea tried to run away from the Raven Lord's Influence. 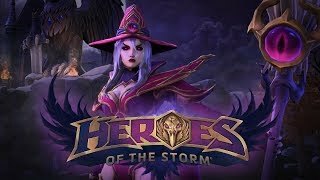 11/2/2018: The fate of countless realms hangs in the balance with Orphea, Heir of Raven Court and daughter of the Raven Lord, as one of the few poised and ready to risk everything in to put a stop to her father's dark plans. 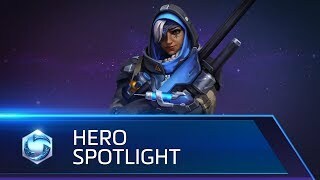 Heroes of the Storm introduces its first Nexus-born Hero, and she needs your help. 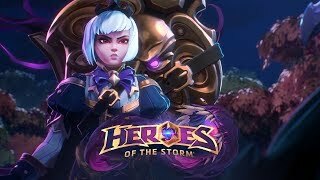 Will you stand with Orphea against the Raven Lord? 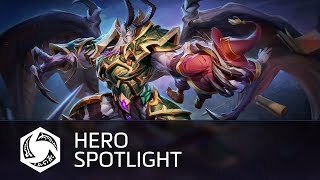 10/8/2018: Mal'Ganis, The Nathrezim Lord, is a life draining Warrior who specializes in disrupting his enemies to push an advantage for his team. 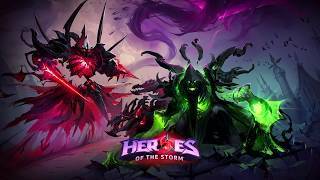 9/17/2018: Will you stand with the Lady of Thorns in defiance of the Raven Lord? 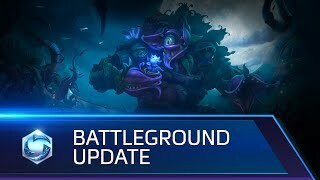 9/13/2018: New gameplay changes are in store for the Garden of Terror. 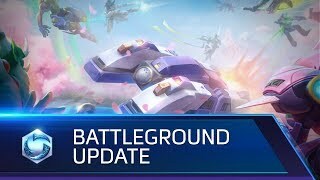 8/20/2018: The Overwatch-themed Hanamura map is new and improved with an emphasis on action-packed team fights, and it's back in the game with a new name, Hanamura Temple. 8/20/2018: Dul'Mephistos, the Lord of Hatred, enters the Nexus where all shall kneel before the Lord of Hatred. 7/30/2018: The terrorist organization Viper wasn't the only criminal paramilitary outfit that had desired to conquer the world, but they were the first to accomplish their sinister goals. 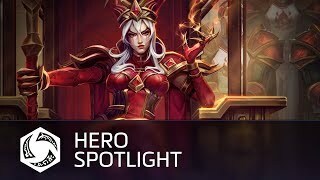 7/27/2018: As the High Inquisitor of the Scarlet Crusade, Sally Whitemane zealously leads her champions in a never-ending war against the undead. 7/2/2018: Welcome to the Warchrome Wastes, where engines are revving, the dust is flying, and you can smell diesel in the air. 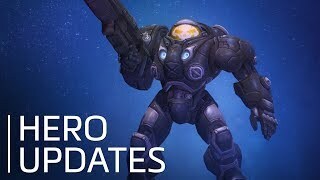 6/28/2018: Talent and gameplay updates for Raynor are coming in the next Heroes of the Storm patch. 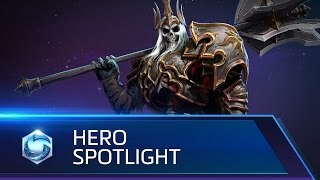 6/28/2018: Azmodan, a new and improved Lord of Hell. 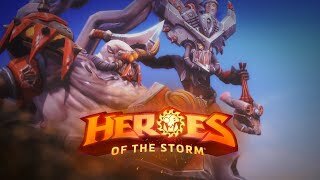 6/4/2018: The longstanding rivalry between the Alliance and Horde is coming to a head in the Nexus as each faction vies for control over a key location in the Alterac Mountains. 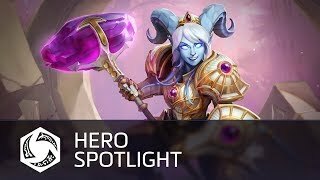 6/4/2018: The first Draenei enters the Nexus to battle beside the Heroes of Azeroth. 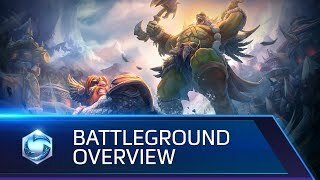 6/4/2018: The drums of war are beating in the distance, Heroes. 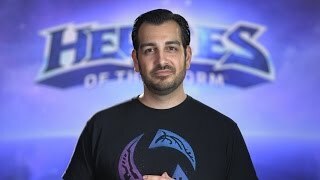 Can you hear the Echoes of Alterac? 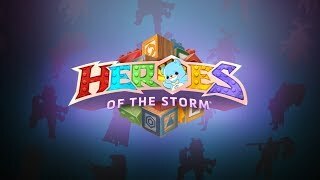 5/1/2018: A preview video fo the new Dark Nexus skins and mounts. 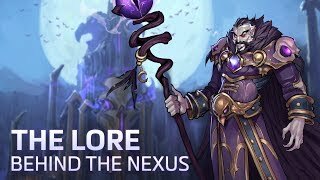 4/30/2018: Game Director Alan Dabiri and Creative Content Lead Kevin Johnson dive into the lore of the Nexus. 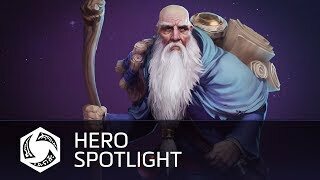 4/5/2018: Deckard is an area-denying healing Support Hero with a soft spot for storytelling. 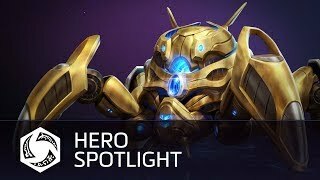 3/16/2018: As one of the greatest heroes in protoss history, Fenix's deeds on the battlefield are legendary. 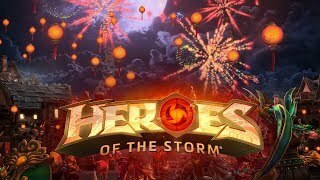 2/6/2018: Lunar New Year has arrived in the Nexus. 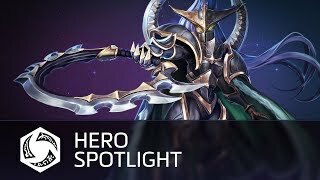 1/26/2018: Maiev Shadowsong stood watch over the imprisoned Betrayer for ten thousand years, and hunted him relentlessly after he was released. Some say she?s determined; others say she's obsessed. 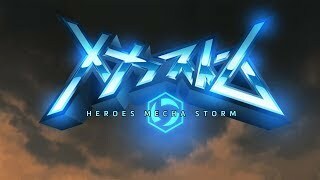 1/16/2018: Mecha Tyrael and Rehgar are squaring off against the insidious Xenotech Abathur in a battle for the fate of the Nexus. 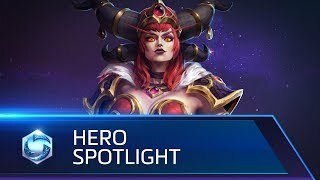 11/6/2017: Alexstrasza, the queen of dragons, was empowered by the titans to be the guardian of all life on Azeroth. 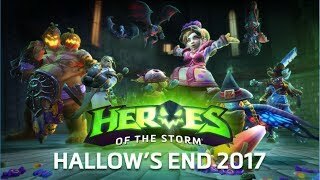 10/17/2017: This year's frightening festivities include spooky new skins and mounts, a ghoulish new event quest, and spooky new Hallow's End Loot Chests. 10/9/2017: The destruction of the Australian omnium left the area an irradiated waste and survivors like Jamison Fawkes were greatly affected by radiation. 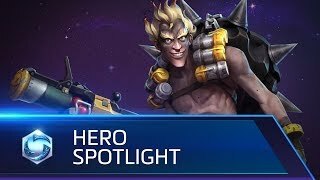 9/18/2017: A burst Healer who uses precise skillshots to heal allies and can deny enemy healing. 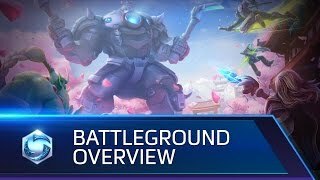 9/15/2017: A first look at the Overwatch-themed Volskaya Foundry Battleground. 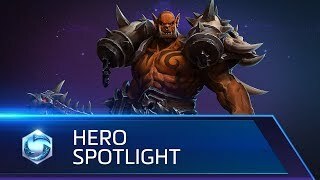 7/26/2017: Garrosh's hatred for the Alliance burns like wildfire, and he will stop at nothing to destroy them. 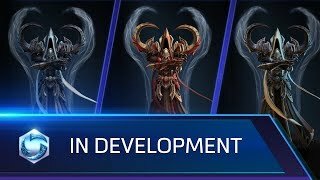 6/2/2017: A sneak peek at the newest Assassin, Malthael, The Aspect of Death. 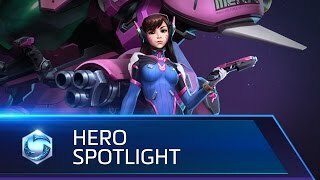 5/8/2017: Hana Song, also known as D.Va, is both a world champion professional gamer and a burgeoning global icon. 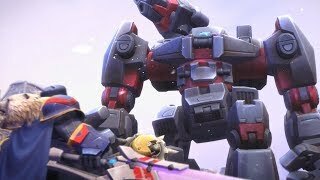 As a member of South Korea's elite MEKA unit, she fights to protect her homeland from the colossal omnic threat lurking within the East China Sea. 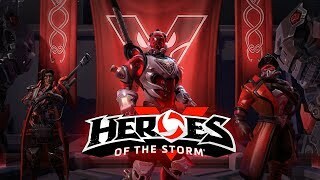 4/17/2017: Harness the power of explosive payloads as you vie for control of the Shimada clan's ancestral home. 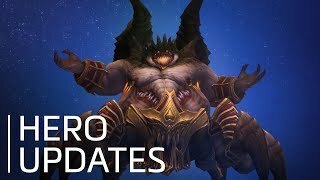 3/29/2017: Game Director Alan Dabiri walks you through what's coming in the Heroes of the Storm 2.0 update. 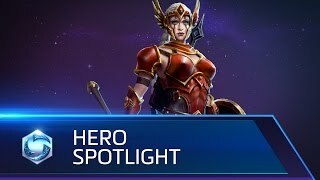 3/29/2017: After shattering the Worldstone, the young Amazon Cassia had changed. She had seen hatred, terror, and destruction firsthand. To survive the coming darkness, she has now begun her training in the Nexus. 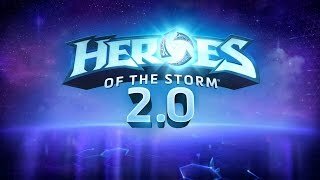 3/29/2017: A walk-through of the changes coming in Heroes of the Storm 2.0. 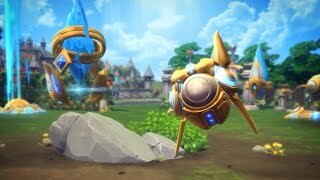 3/3/2017: As the bravest of probes, Probius is eager to fulfill his purpose in the Nexus. 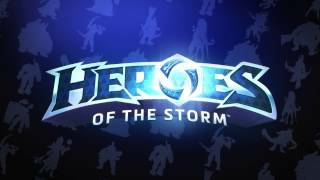 2/3/2017: Lucio's on tour in the Nexus, ready to break it down and to continue fighting for what's right. 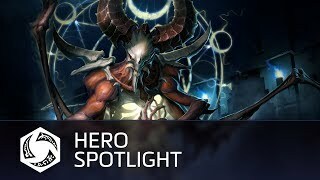 7/14/2015: The Skeleton King haunts the battlefield of the Nexus.